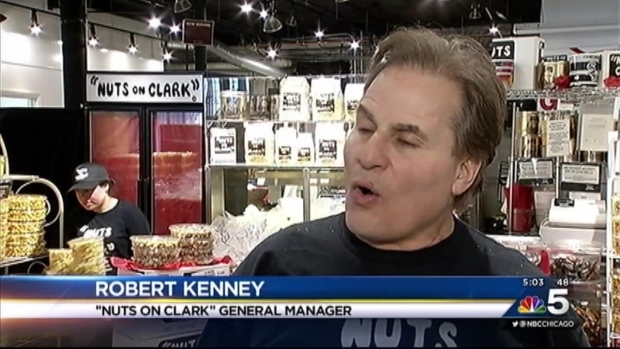 Police are investigating an overnight burglary at the Nuts on Clark shop in Chicago’s Wrigleyville neighborhood. The thieves broke into the Clark Street storefront at around 1 a.m. Wednesday, making off with the cash register and a laptop. Investigators believe the robbers may have gotten in through the building's ventilation shaft. Thieves broke into the Wrigleyville 'Nuts on Clark' for the second time in a week on Wednesday, leaving the owner and employees angry and searching for answers.